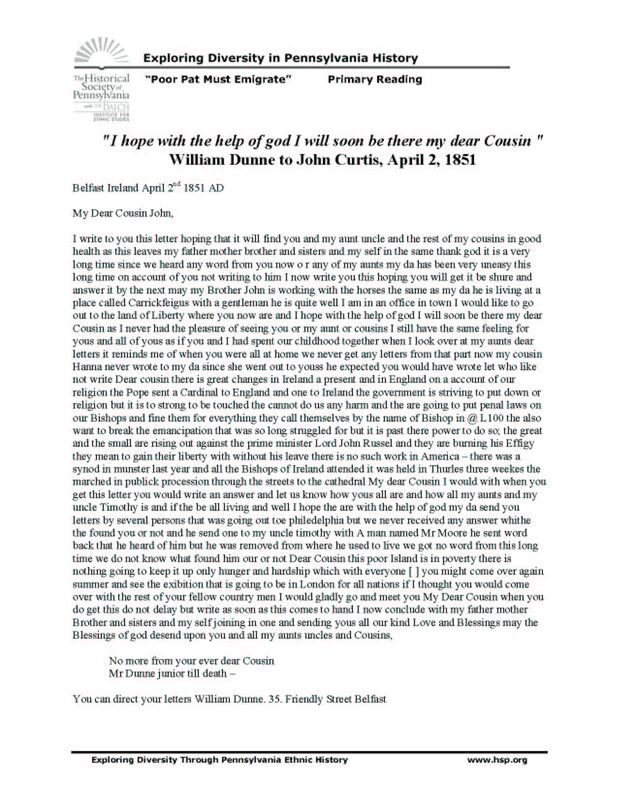 William writes to his cousin John who has emigrated from Ireland to Philadelphia. William tells of the situation of his family and of the continuing starvation and strife across Ireland as well as rising religious tension. He also mentions the upcoming exhibition for “all nations” in London while stressing the need for communication between relatives.